The Keough-Naughton Institute for Irish Studies and Notre Dame International are delighted to announce the new Keough-Naughton Library Research Award in Irish Studies.This award provides grant funding for scholars to use the collections of the Hesburgh Libraries for research in Irish studies. The Irish Studies collections of the Hesburgh Libraries, primarily print, include a particularly wide-ranging fiction collection, a strong seventeenth and eighteenth century print book collection, and collections on Berkeley, Burke and Swift. A list of special collections in Irish Studies is available in the research guide, Irish Studies Resources for Graduate Research, and collections are also described at the site Rare Books and Special Collections. The awards are intended to defray the cost of travel and accommodation for research visits of one to three weeks in duration. The value of these awards is from $1,500 to $4,000. In this initial year, the selection committee anticipates granting two awards. Awardees may be established scholars, graduate students or postdoctoral scholars. Applications from international locations are encouraged. 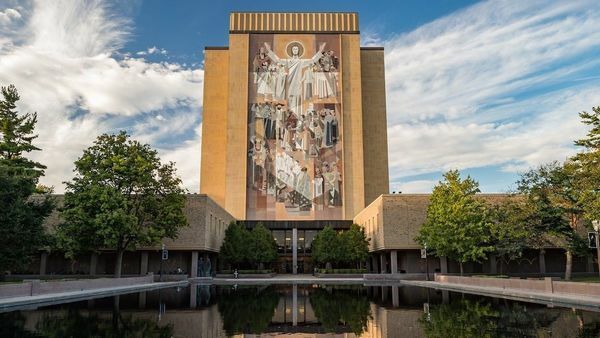 An important consideration will be the relevance of the Hesburgh Library collections to the proposed research project. The anticipated time-frame for visits to the Libraries within the first award cycle is between January and June, 2019. Applications for 2019 should be submitted by October 19, 2018. Recipients will be notified in November. Originally published by Mary Hendriksen at irishstudies.nd.edu on August 25, 2018.